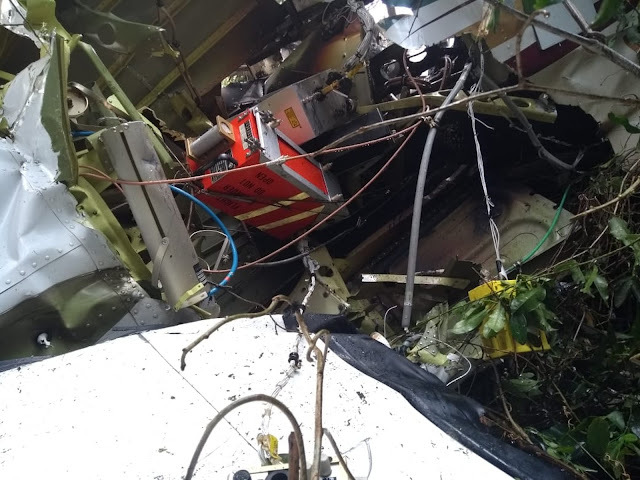 The government of Brazil has notified the NTSB of an accident involving a BEECH C90 airplane that occurred on September 15, 2018. The NTSB has appointed a U.S. Accredited Representative to assist the government of Brazil's investigation under the provisions of ICAO Annex 13. On February 20, 2015, about 1017 central standard time, a Piper PA-32RT-300T single-engine airplane, N22267, overran the end of the runway during an aborted takeoff at Lubbock Executive Airpark (F82), Lubbock, Texas. The private pilot and passenger were not injured, and the airplane was substantially damaged. 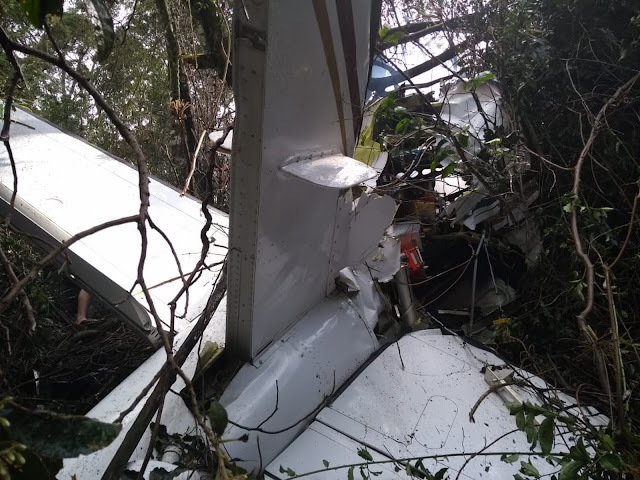 The airplane was registered to and operated by the pilot under the provisions of 14 Code of Federal Regulations (CFR) Part 91 as a business flight with an instrument flight plan. Day visual meteorological conditions prevailed for the cross-country flight that had the intended destination of Fort Worth Spinks Airport (FWS), Fort Worth, Texas. 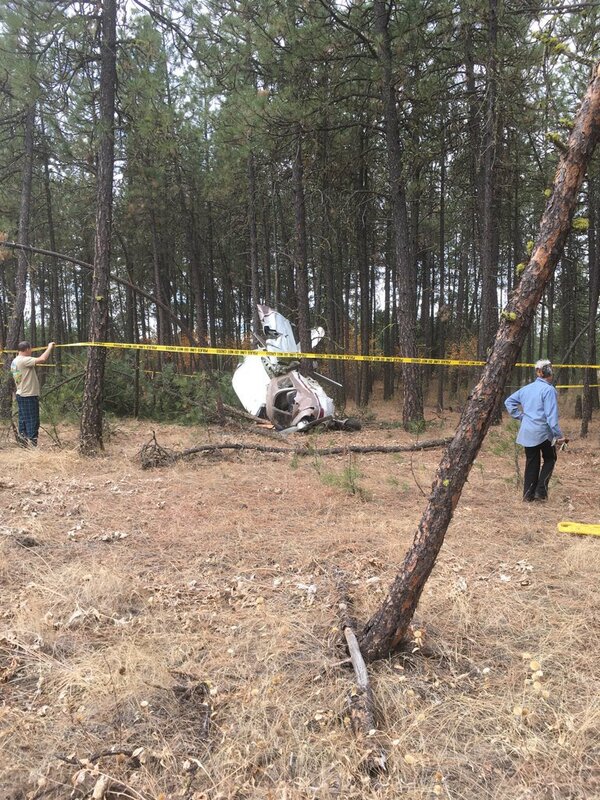 The pilot reported that the accident occurred as he attempted a takeoff from runway 17 at F82. He reported using a short-field takeoff technique with 25° of wing flaps selected. The pilot stated that while they were taxiing toward runway 17 someone transmitted over the common traffic advisory frequency (CTAF) that the surface wind was from 220° at 4 knots, with 14 knot gusts. The pilot held the wheel brakes before starting the takeoff run until he had verified that the engine was developing takeoff power. The pilot stated that upon reaching 80 knots indicated airspeed (KIAS) he applied aft yoke pressure to rotate for liftoff; however, the airplane did not respond to his aft stabilator control input. 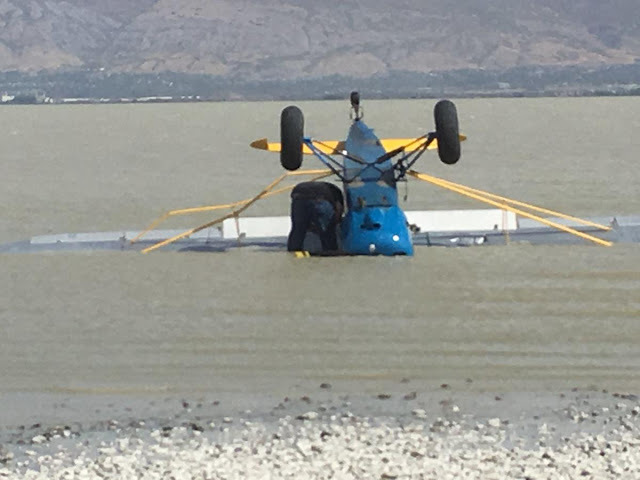 The pilot attempted to rotate a second time using both hands on the yoke, but the airplane still did not rotate and he aborted the takeoff as the airplane crossed midfield. 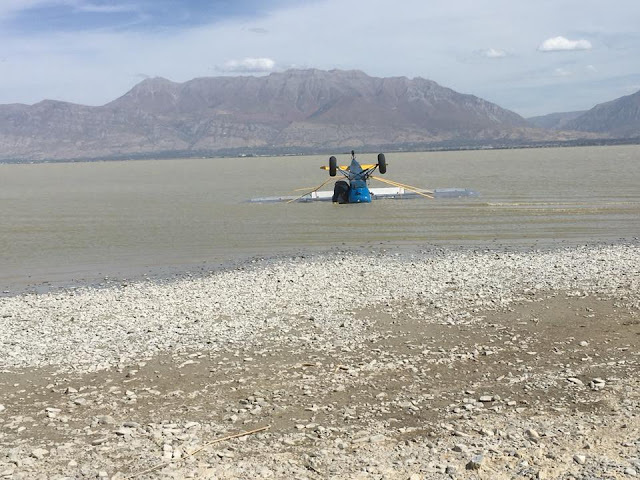 The pilot reduced engine power to idle and applied wheel brakes; however, the airplane overran the end of the runway into a plowed field where the landing gear collapsed. The left wing sustained substantial damage after the landing gear collapsed. The passenger, who was the pilot's spouse, reported that before arriving at F82 they had repositioned one of their cars at Lubbock International Airport (LBB) in case the surface winds increased or required the east/west runway later in the day. While at LBB, she noticed that the departing airplanes were taking off to the north. The passenger reported that after arriving at F82, the pilot performed the preflight while she loaded their baggage. 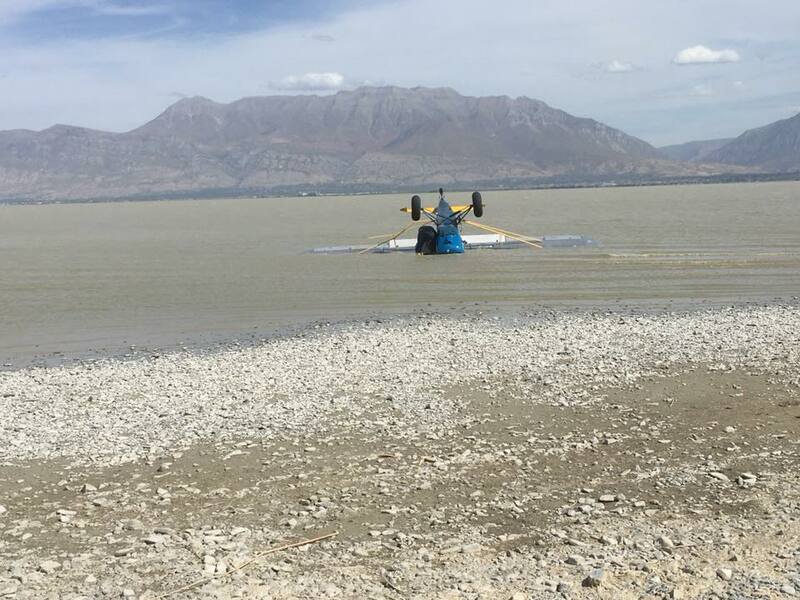 The passenger stated that as they taxied toward runway 17, she asked the pilot about the current winds because she had previously observed airplanes departing to the north at LBB. The pilot replied that the windsock indicated the current surface winds were out of the southwest. Additionally, shortly before takeoff, she reported hearing someone transmit over the CTAF that the current winds were from 220° at 4 knots, with 14 knots gusts. The passenger reported that although she was seated in the right cockpit seat, she had monitored the airspeed indication during the takeoff. She noted that the pilot attempted to rotate the airplane at 80 KIAS, but the airplane did not respond to his aft pitch control input. She then observed the pilot grasp the yoke with two hands and pullback again with no effect on airplane pitch. The pilot announced that he was aborting the takeoff, reduced engine power to idle, and applied brakes. 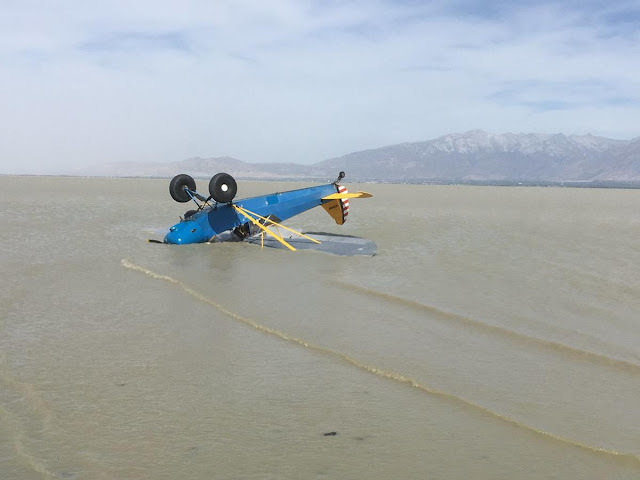 The passenger reported that although the airplane slowed considerably during the aborted takeoff, there was insufficient runway remaining for the airplane to come to a stop before the end of the runway. She stated that the landing gear collapsed after the airplane encountered soft soil located past the end of the runway. 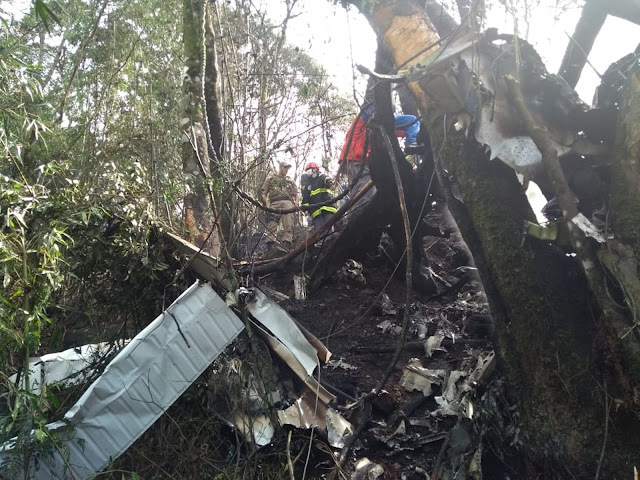 The passenger reported that the airplane came to rest on its lower fuselage, and that they were able to exit the airplane uninjured through the cabin door. According to Federal Aviation Administration (FAA) records, the 59-year-old pilot held a private pilot certificate with ratings for airplane single-engine land and instrument airplane. His most recent FAA third-class medical certificate was issued on August 15, 2014, with a limitation for corrective lenses. 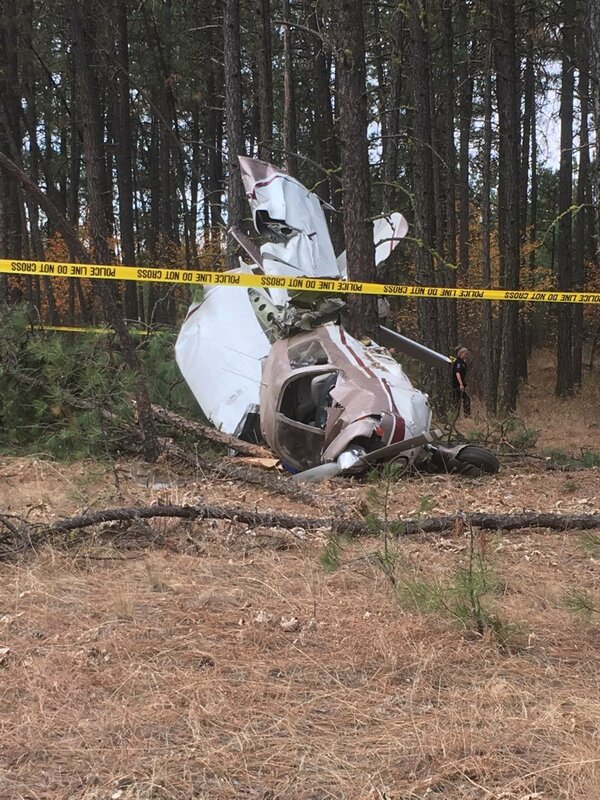 The pilot reported having 722 total hours of flight experience, all of which were flown in single-engine airplanes. He had flown 672 hours as pilot-in-command, 111 hours at night, and 34 hours in actual instrument meteorological conditions. He had flown 58 hours during the 90 days before the accident and 19 hours during 30 days before the accident. The pilot had not flown during the 24 hours before the accident. His most recent flight review, as required by 14 CFR 61.56, was completed on November 17, 2013, in a Piper PA-28-180 airplane. 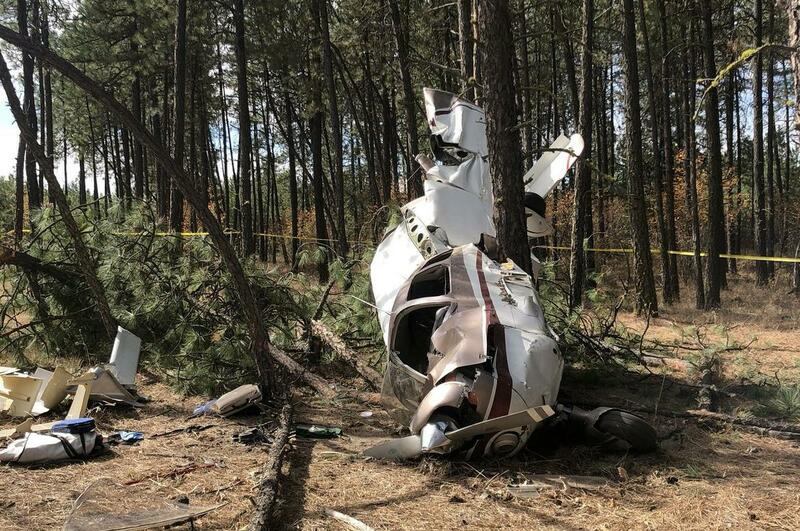 The pilot reported having 37.5 hours of flight experience in Piper PA-32RT-300T airplanes, all of which were flown within the preceding 4 months. The pilot's only flight experience in T-tail equipped airplanes was in Piper PA-32RT-300T airplanes. He had logged 2.9 hours in another Piper PA-32RT-300T before his first flight in the accident airplane on November 21, 2014. 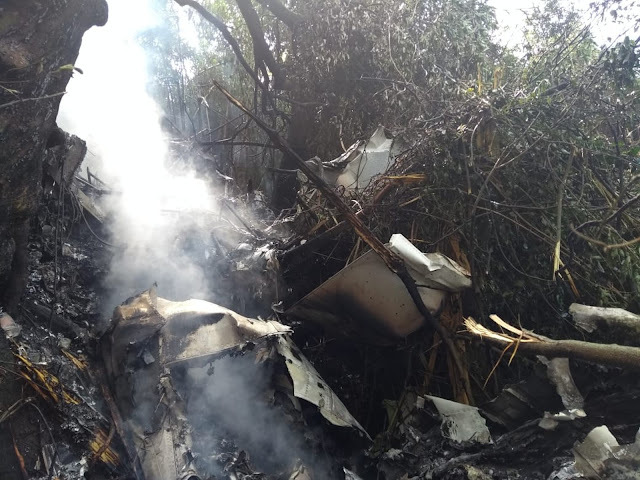 The pilot reported that he had completed 22 flights and 43 takeoff and landings in the airplane before the accident. The 1978-model-year airplane, serial number 32R-7887252, was a low-wing monoplane of aluminum semi-monocoque construction. The airplane was powered by a 300-horsepower, turbocharged, 6-cylinder, Lycoming TIO-540-S1AD reciprocating engine, serial number L-5794-61A. The engine provided thrust through a constant-speed, three-blade, Hartzell model HC-E3YR-1RF/F7673DR propeller, serial number FM1976B. The 6-seat airplane was equipped with a T-tail stabilator, wing flaps, and a retractable tricycle landing gear. The airplane had a useful load of 1,201 pounds and a maximum allowable takeoff weight of 3,600 pounds. According to FAA documentation and the corresponding bill-of-sale, the pilot purchased the airplane on November 29, 2014. The last annual inspection was completed on September 1, 2014, at 5,008.74 hours total airframe time. 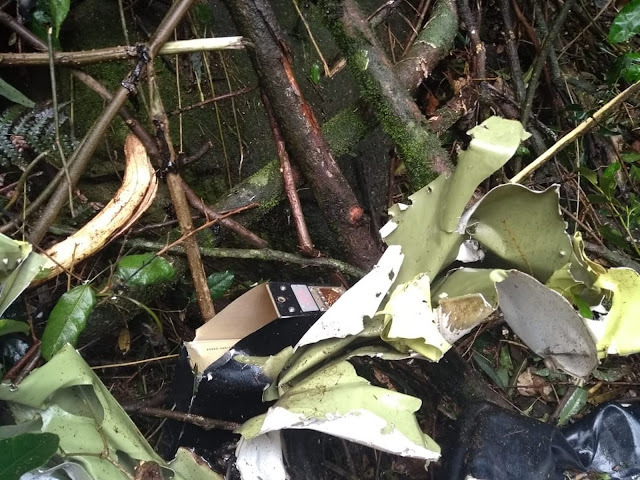 The recording tachometer indicated 5,044.83 hours at the accident site, which was the airplane's total service time since new. The engine had accumulated 1,142.73 hours since its last overhaul. Review of the maintenance records found no history of unresolved airworthiness issues. The airplane had two fuel tanks, one located in each wing, and a total fuel capacity of 98 gallons. 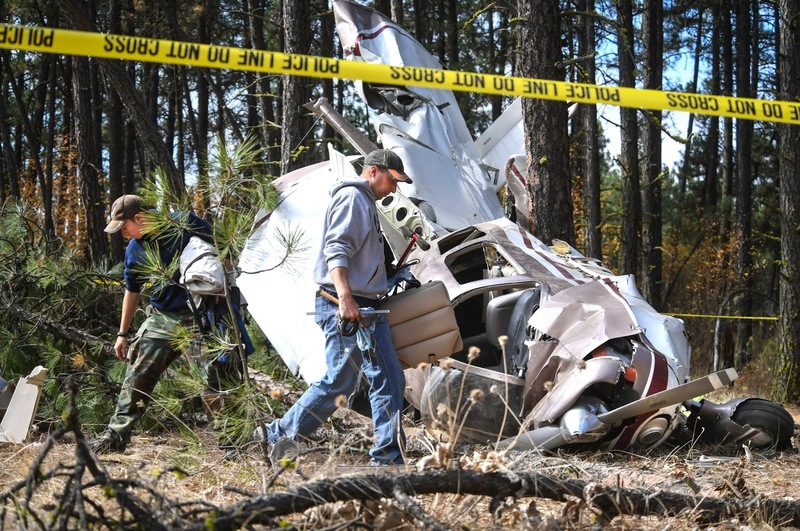 The pilot estimated that the airplane had about 70 gallons of fuel before the flight. A postaccident weight-and-balance calculation indicated that the ramp weight before the flight was 3,359 pounds and within the normal category envelope limits with a center-of-gravity at 88.91 inches aft of the datum. A postaccident review of available weather data was completed by a Senior Meteorologist with the National Transportation Safety Board (NTSB) to determine the surface wind direction, speed, and gust factor at the time of the accident. 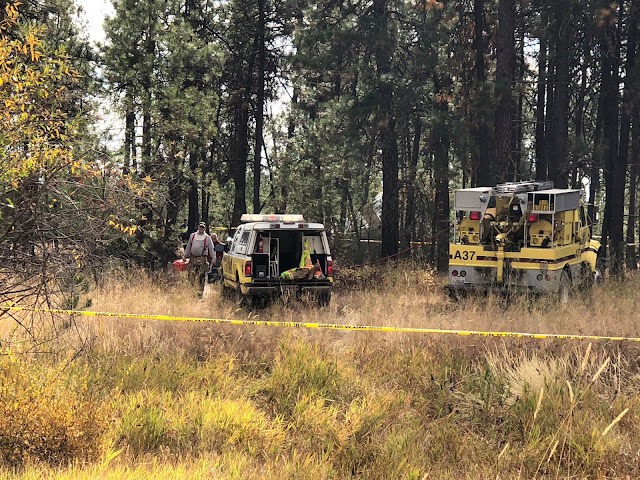 The wide-area synoptic weather conditions included trough of low pressure at the accident site and a high-pressure system located in southern Colorado. There was a 10-hPa pressure gradient across the region that resulted in westerly surface winds of 5 to 10 knots with gusts to 25 knots. The nearest aviation weather station was at Lubbock International Airport (LBB) about 12 miles north of the accident site. At 0953, about 24 minutes before the accident, the LBB automated surface observing system reported: surface wind 290° at 9 knots, 10 miles surface visibility, broken cloud layers at 26,000 ft above ground level (agl) and 30,000 ft agl, temperature 13°C, dew point -2°C, and an altimeter setting 29.79 inches of mercury. At 1053, about 36 minutes after the accident, the LBB automated surface observing system reported: surface wind 280° at 17 knots with 23 knot gusts, 10 miles surface visibility, scattered clouds at 26,000 ft agl and 30,000 ft agl, temperature 20°C, dew point -4°C, and an altimeter setting 29.78 inches of mercury. Postaccident wind calculations based on the 0953 weather report yielded a 8 knot crosswind and 4 knot tailwind for a takeoff on runway 17 at F82. A wind gust of 15 knots would have resulted in a 13 knot crosswind and 7 knot tailwind. The same wind calculations based on the 1053 weather report yielded a 16 knot crosswind and 6 knot tailwind; however, the weather report also included a 23 knot wind gust, which would have resulted in a 22 knot crosswind and 8 knot tailwind. F82, a public airport located about 5 miles south of Lubbock, Texas, was owned and operated by Bre-Lene Logistics, LLC. The airport field elevation was 3,200 ft msl. The airport was served by an asphalted runway 17/35 (3,500 ft by 70 ft) and a turf runway 7/25 (1,500 ft by 110 ft). The airport was not equipped with an air traffic control tower. A postaccident examination was conducted by FAA inspectors with the Lubbock Flight Standards District Office. 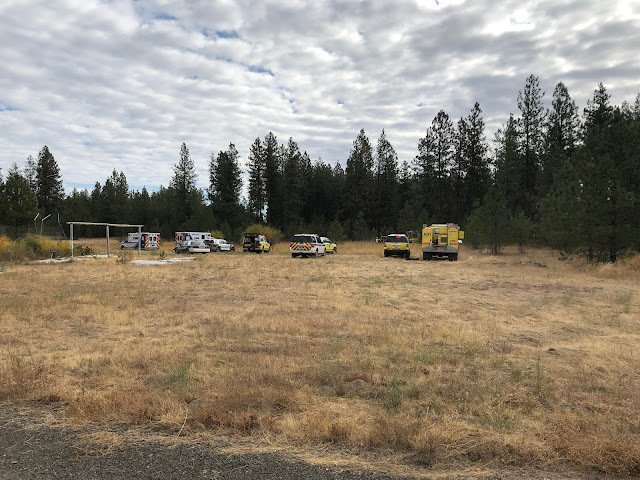 The FAA inspectors reported there were continuous tire skid marks that began about 810 ft from the departure end of runway 17. The airplane subsequently came to rest about 20 ft past the end of the runway on a southwest heading. The airplane was found resting on its lower fuselage, with all three landing gear collapsed. An aft movement of the control yoke revealed a slight stiffness about halfway through its full aft travel; however, there was no binding or impediment that precluded full-aft yoke travel. The FAA inspectors reported that the control column bushings appeared to be new and that a small application of lubricant removed the slight stiffness that had been noted during their initial test. Measurements of the stabilator's range of travel established that it conformed to the manufacturer's design specifications. The cable tension for the upper and lower stabilator control cables measured 19 pounds and 21 pounds, respectively. According to the manufacturer's maintenance manual, when corrected for outside temperature, the stabilator control cable tension should have been 33 pounds. Although the measured cable tension was below the manufacturer's specification, the elevator control cable system functioned as designed. The cockpit pitch trim indicator was in a slightly nose-up setting, consistent with a takeoff trim configuration. Further examination and testing of the pitch trim system did not reveal any anomalies with the anti-servo tab, rigging, or its corresponding travel associated with stabilator movement. There were no anomalies identified with the aileron or rudder control systems. The airplane's airspeed indicator was tested by an avionics technician under the supervision of the FAA inspectors. The airspeed indicator remained installed in the instrument panel with no modifications to the airplane's remaining pitot pressure system. The indicated airspeed was compared to the airspeed generated by technician's calibrated equipment. The testing revealed that the airplane's airspeed indicator consistently read 5 knots higher than the actual airspeed generated by the test equipment. 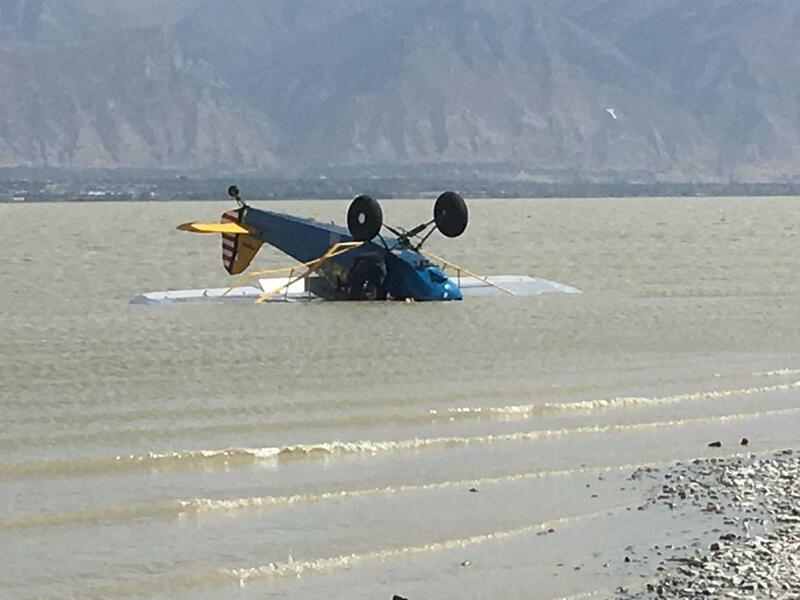 The pilot reported that he had experienced two previous abnormal takeoffs since he purchased the airplane. On December 20, 2014, the airplane did not liftoff when he rotated at 70 KIAS during the takeoff run; however, the airplane subsequently became airborne when he made a second attempt to rotate at a higher airspeed and with increased aft elevator input. On December 26, 2014, the airplane did not liftoff when the pilot rotated at 80 KIAS during the takeoff run. The pilot immediately aborted the takeoff and brought the airplane to a stop on the remaining runway. According to the Piper PA-32RT-300T Pilot Operating Handbook (POH), the normal takeoff procedure is to accelerate to 75 to 85 KIAS before applying back pressure to the control wheel to rotate into a climb attitude. A short-field takeoff procedure (with the wing flaps set to 25°) is to accelerate to 65 to 69 KIAS before applying back pressure to the control wheel to rotate airplane into a climb attitude and then after liftoff continue to accelerate to the desired climb airspeed.